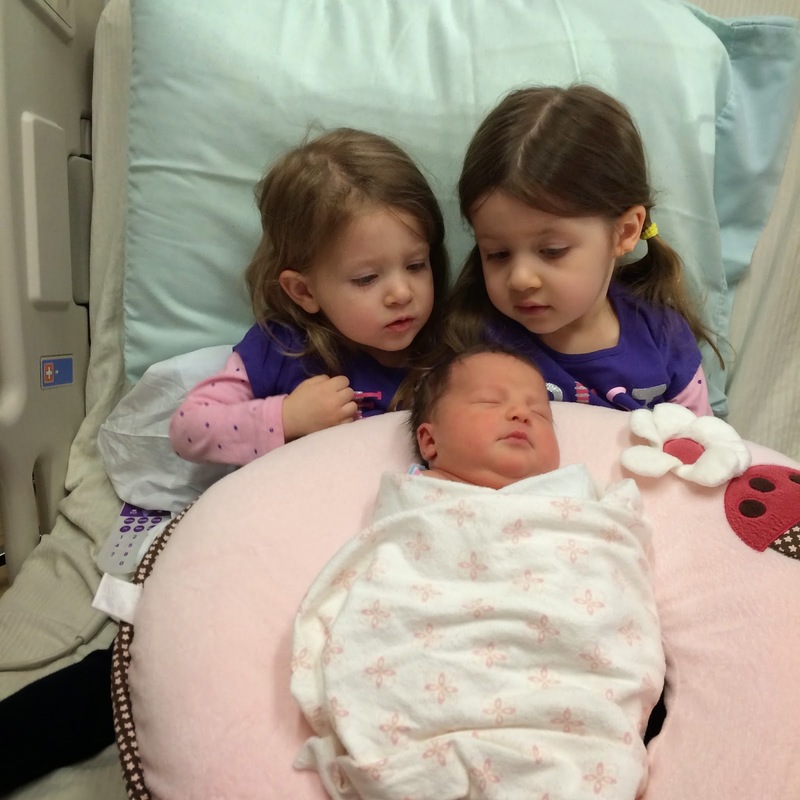 On Thursday December 11, 2014 at 10:45 a.m., we joyfully welcomed our third daughter Paisley Jean Hilosky into the world! She was born via a scheduled c-section a little early (37 weeks, 6 days) due to my pregnancy induced hypertension. Praise the Lord she was a healthy baby and the procedure went smoothly! Paisley weighed in at 7 pounds, 8 ounces and 19 1/4 inches! 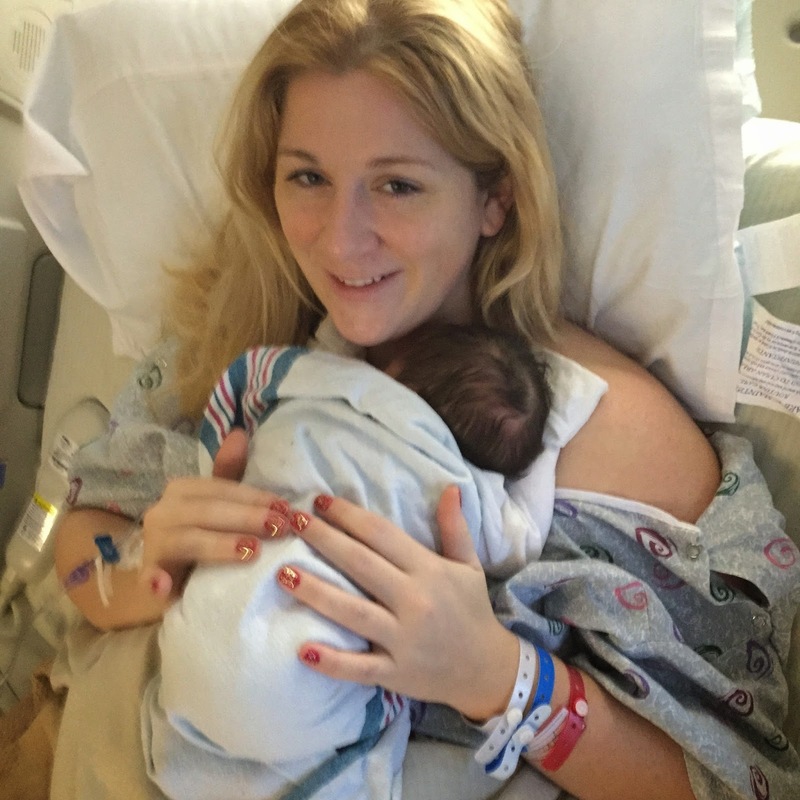 She was the smallest of our three babies - leaving the hospital at 6 pounds 12 ounces! 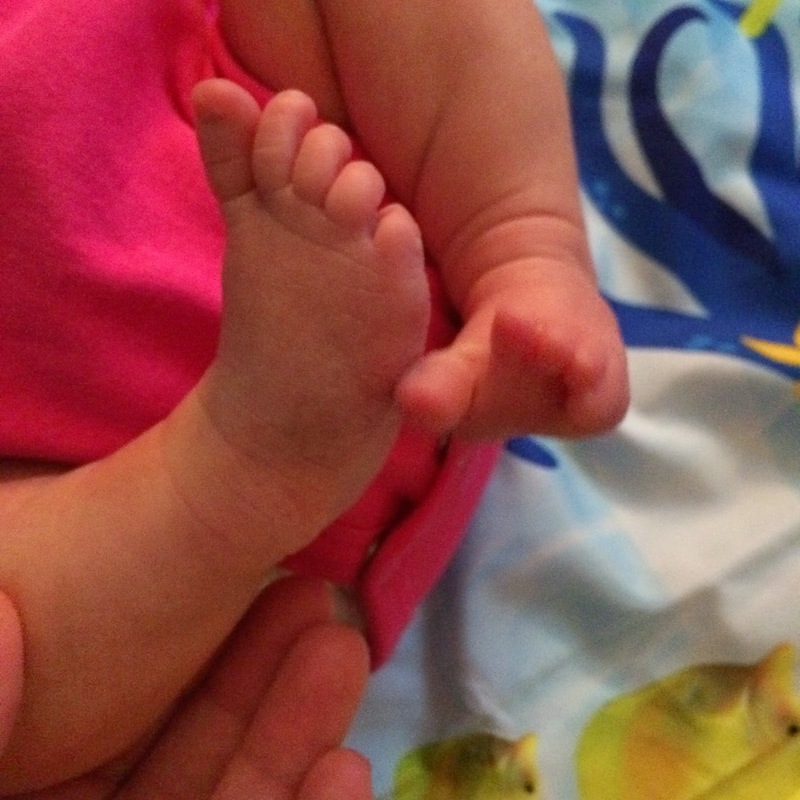 Considering Blakely didn't even fit into newborn diapers or clothing, this was teeny tiny in our eyes! Me looking very tired, but so so so happy to finally be holding my baby girl in my arms rather than having her in my belly! We were blessed with such wonderful nurses during our hospital stay, who made this sweet little sign and bow hat for Paisley! 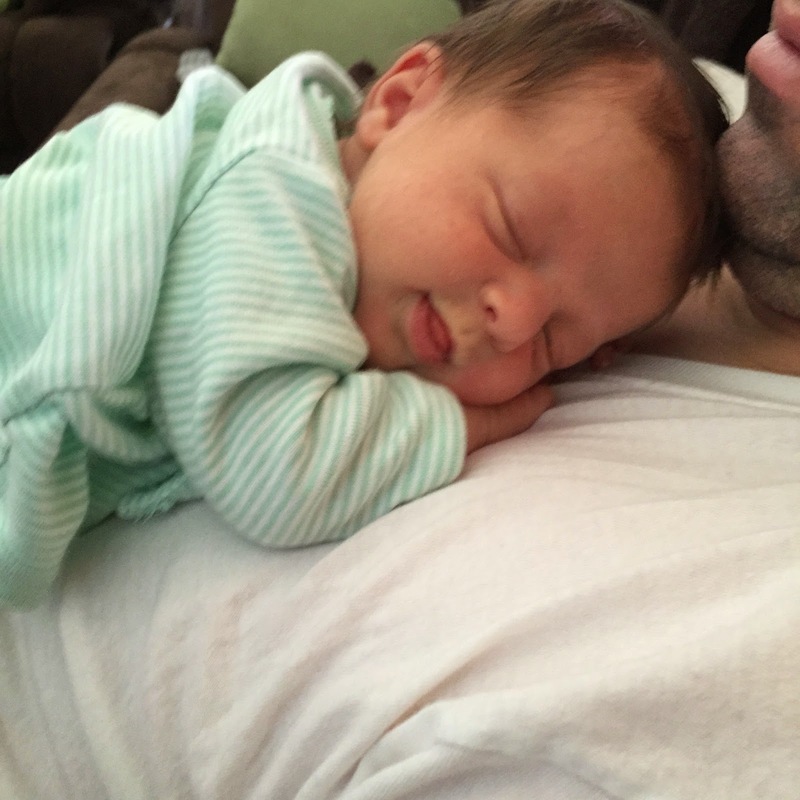 There are no words for how amazing it is to watch your older babies meet and love on your newest baby! It actually feels like your heart could explode with happiness! 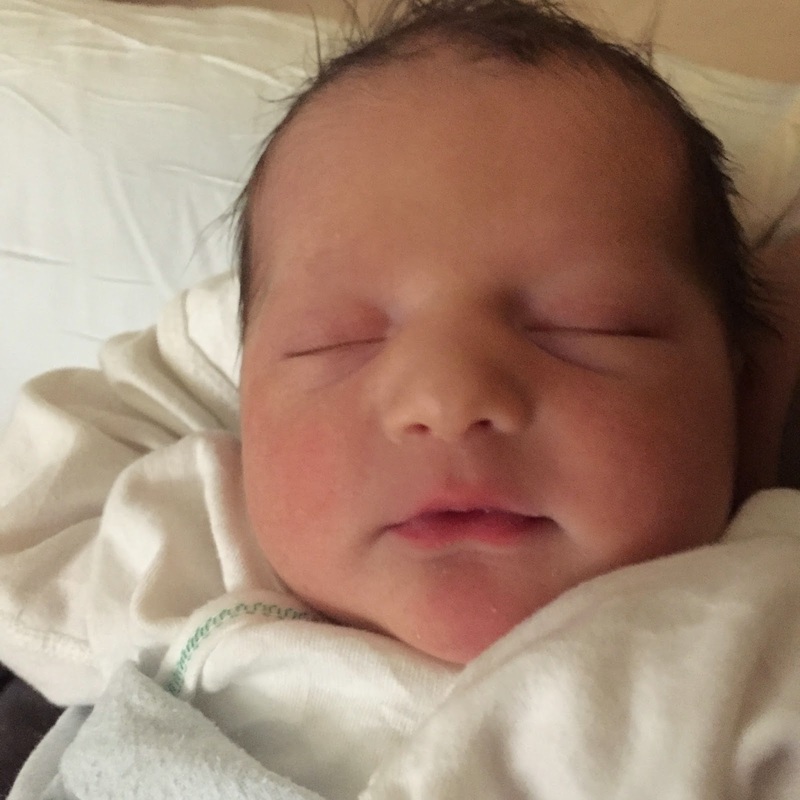 After three days in the hospital, we came home! Paisley was so happy to be home that she gave me her very first (half) smile in her sleep! On December 28, 2014 we baptized our sweet angel at the church where John and I were married and both Lacie and Blakely were baptized! 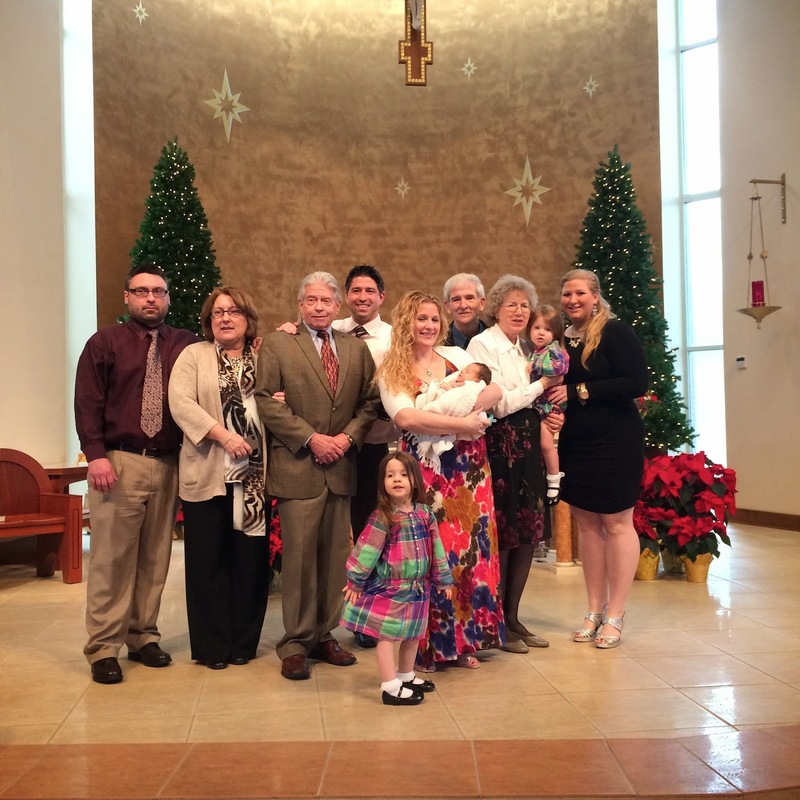 It was my crazy wonderful husband's idea to baptize her so soon rather than wait until she was a few months older. Even though I was exhausted, it was actually easier since Paisley pretty much slept through the whole thing (other than this sweet picture that we took before the sacrament started). 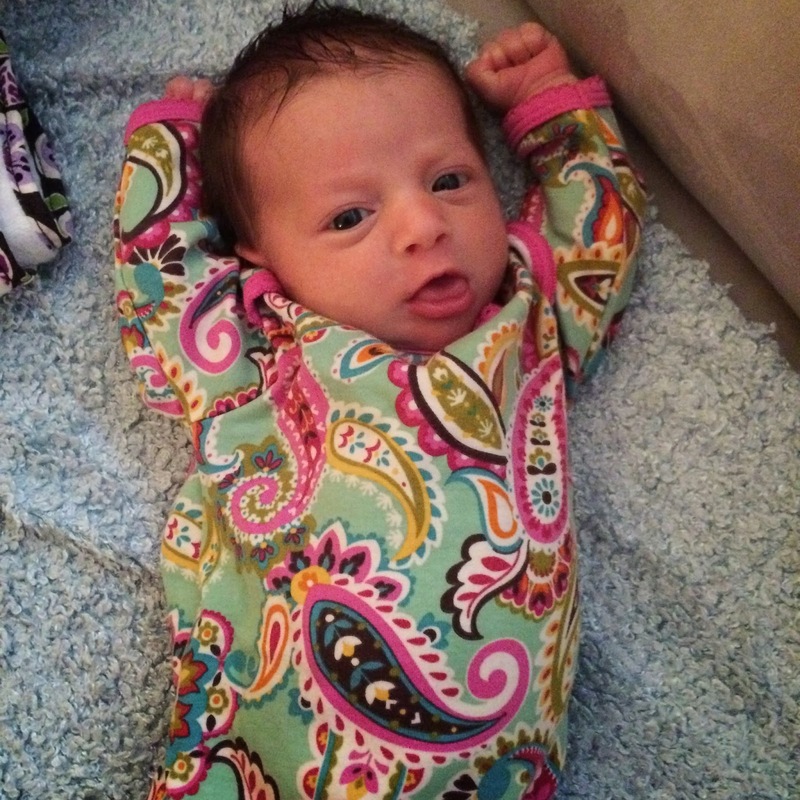 Paisley at three weeks old is already showing us her amazing personality! 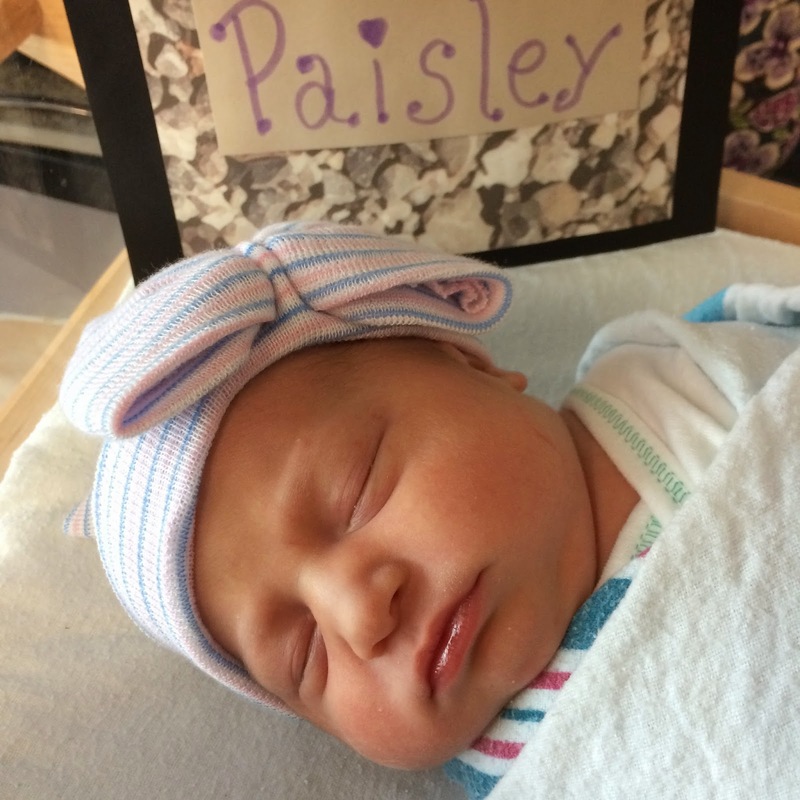 This Thursday will mark four weeks since Paisley entered the world and officially made us a family of FIVE! But in most ways, it feels like she has always been here. I can't wait to document and share all of the fun milestones that will happen this year!